Traveller’s guilt: Why do we put so much pressure on ourselves? When I was recently invited to go to Hong Kong for three weeks, I almost screamed ‘yessss’ to my laptop screen. Okay, it was for an academic conference to present my new PhD, but besides the few days of the conference, I was going to have complete control over my timetable. The best part: all expenses, including flights, hotel and food, were covered by my university. Think about all the gorgeous views, the skyscrapers, the Instagram photos I could post. If that wasn’t a great opportunity, I don’t really know what was! Or that’s what I thought, anyways. 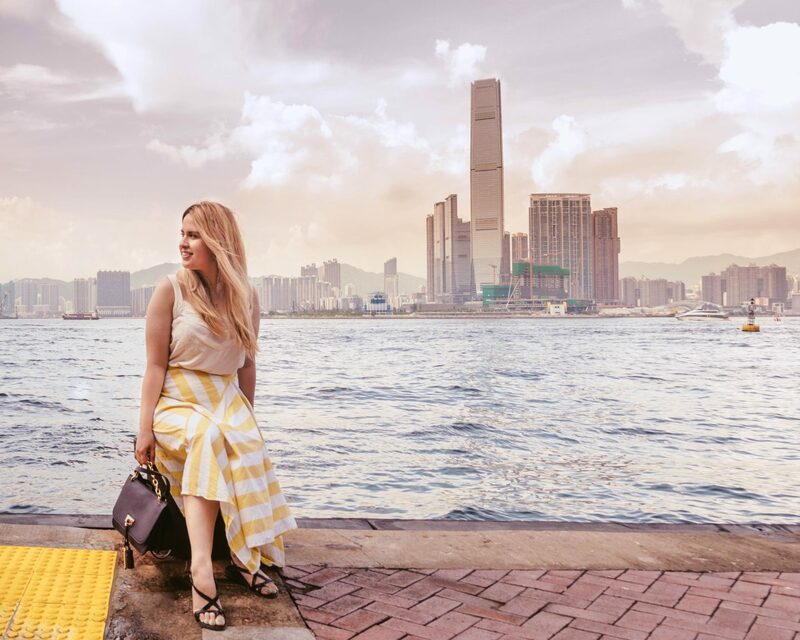 So when friends asked my about my plans for the summer, I excitedly told them how I planned to explore Hong Kong, find all its hidden treasures, eat authentic Asian food and just experience all this vibrant city had to offer. I asked people who’ve visited for advice on where to go, and what to eat. What I didn’t realise was the huge amount of pressure I was putting on myself: the pressure to do everything, see everything in order to be able to say I’ve ‘experienced’ Hong Kong. Honestly, I used to suffer from the ‘checklist syndrome’. You know, that thing when you visit a new place and you have to see everything to consider your trip complete. I’ve probably inherited this from my mom, who’s a master checklist completer. As a recovering ‘checklister’, largely thanks to my boyfriend, I’ve learned to take it easy. Travelling slower allows you to experience a place better, and at the same time keeps you sane. Not surprisingly, I’ve grown to enjoy this ‘laid-back’ travelling style so much more. That’s why when I found myself in Hong Kong, I was surprised I felt guilty. I call this the ‘traveller’s guilt’. It’s the feeling that I’m not getting the most out of my trip. That instead of laying in bed until 9, I have to get up and just go, go, go. Visiting a new place is all about new experiences, so how is eating dinner in my bed enriching me? And did I really see a place if I don’t have the Instagram-worthy shots to prove it? These were all questions that popped into my head in my first week in Hong Kong. That’s when the guilt rushed in. It was overpowering and the pressure was almost unbearable. Here I was, being given the rare chance to sleep in a great hotel, eat pretty much wherever I pleased (UK food allowance stretched well there) and having enough time on my hands to seemingly see everything that’s worth a visit. So why was I so hesitant to go out and ‘live’ it all in? Well, for one, I didn’t really factor in the weather. You know, having lived in Singapore for a year, I thought I was prepared for the heat. Surprise, surprise: I wasn’t. Imagine yourself being in an oven that also gives you frizzy, tangled hair: that’s what Hong Kong is in August, anyway! Plus, add in some pretty scary thunderstorms, and you get how excited I was to be outside. I was told that the weather gets much better later in the year, but how does that help me really? 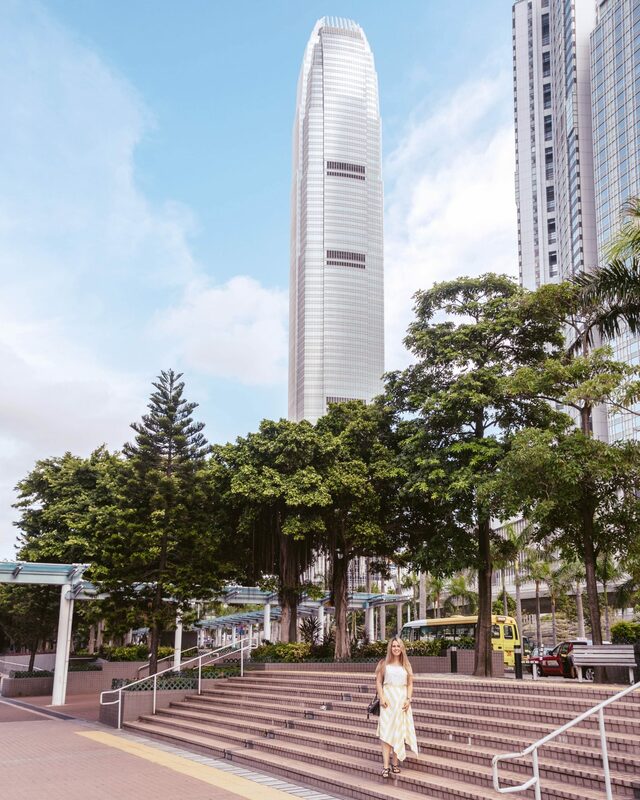 The second thing was the fact that Hong Kong truly is a ‘vertical city’, as one friend described it. You can’t really imagine it unless you’ve seen it. Pretty much every building has more than 40 storeys, and they’re so close together it’s almost claustrophobic. Besides that, for a person with quite a strong fear of heights, sleeping in my hotel room on the 27th floor was a challenge. Yes, I could probably request a lower room, but that doesn’t really help much with the incredible urban density. In the end, though, I figured I had to sleep with my curtains closed during the first few nights to get used to the height. The weather combined with the verticality of this city meant that pretty much I was bound to stay inside. While I normally love just wandering around, I found the whole ‘will these grey clouds turn into a storm’ questioning pretty daunting. I felt uneasy in between the concrete giants. The smells were strong, people drove and shouted like crazy, and pretty much no one understood me. I don’t want to paint a negative picture here, I honesty don’t. All I want to say is that expectations don’t always match the reality. But then I feel really, really guilty. In 10 days, I’ve only been to two ‘famous’ Hong Kong places. I haven’t in fact seen the most important sights, and I for sure haven’t tried all the delicacies of the place. Going to the university where I’m supposed to do some work is a daily challenge, due to the unpredictable weather. So you can imagine that venturing to lesser know territories is a big no-no. Surrounded by other people, I had some pretty great times. But on my own, I feel like a shadow of myself. Not like a world traveller, an explorer, but like a little girl scared of her own shadow. It took me a long while to come to terms with the fact that Hong Kong is just not my place. I probably won’t have the most Instagram-worthy photos to prove I had a great time. Because I didn’t. Yes, I could probably push myself more. See more, do more, experience more. But I’m not going to. Firstly, because I’m learning that being on my own in a city on the other end of the world is challenging enough. I don’t need the added pressure of what I ‘should’ be doing. Secondly, because sometimes, being abroad is just you, being in another place. It’s not about eating the strangest food you can find every day, and it’s not about ticking all the sights from your checklist. It’s about learning to deal with being in a foreign place, and making do with what’s available. So I’ve allowed myself to sleep in, venture out for just an hour or two instead of the whole day, and most importantly, order UberEats to eat in my bed! It’s the little comforts that make me feel at home and normal. Traveller’s guilt is a real thing. If you ever experience it, please know you’re not alone. It’s perfectly okay to not get the most out of your vacation. If you just want to stay inside and relax, do it. If you don’t feel like spending a fortune on all the hyped places, don’t. When just being outside intimidates you, take baby steps. In the end, your mental comfort is way more important than that Instagram photo, anyways.